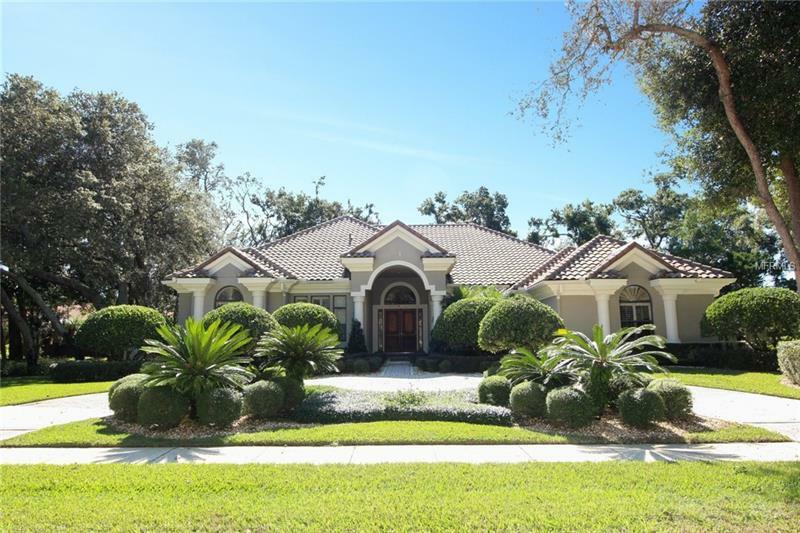 This Priced-To-Sell, Immaculate home sitting on almost an acre lot within an exclusive 13 home gated community in the sought-after Heathrow/Lake Mary area! As you walk through the double-door entrance, the 3-way split floorplan invites you to the wet bar while you gaze upon the beautiful backdrop of a tropical pool, complete with a stone waterfall. The open floorplan leads way into the Large open Kitchen with granite counter tops and newer appliances! The private screened-in pool was recently upgraded to feature the pleasure of salt water serenity. A new saltwater filtration system added along with a new water heater to make swimming a must in the winter months! This 4 bed/3.5 bath home features 12 ft ceilings throughout with a Gas Fireplace to keep you warm and cozy on winter nights. Entertain friends and family in the back with the perfect nook to grill! Plenty of parking with a 3 car garage and a semi-circular driveway!